“Follow your heart,” the outfitter said. She pressed her right hand against her chest as if she were pledging allegiance to the flag. 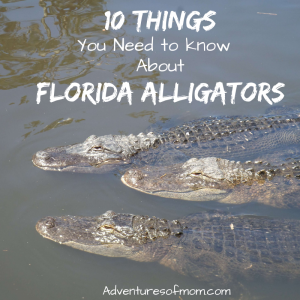 I glanced around the group of my fellow Florida Outdoor Writers, staring in rapt attention, bundled up in bright red life jackets and clutching their double-sided paddles. 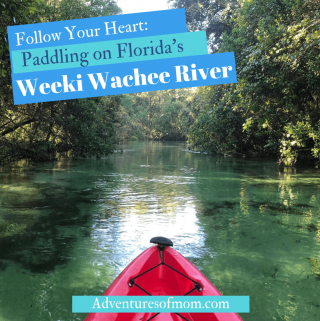 The instructor was not giving us a talk about following our dreams, no, her advice had more practical value- how to successfully navigate the Weeki Wachee River—keep to the left when coming to the forks in the river. It was 9 am and I was at the launch to the most popular paddle destination on Florida’s Adventure Coast. 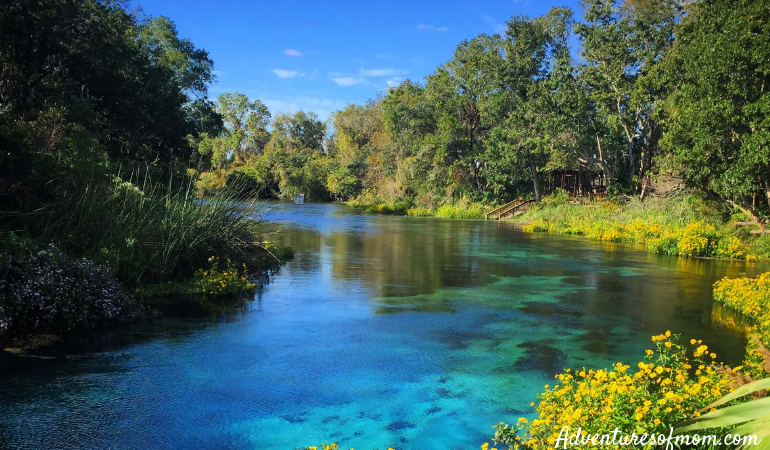 Praised as one of Florida’s cleanest rivers, the Weeki Wachee River begins at the head springs, one of Florida’s 33-first magnitude springs and home of the world-renown Weeki Wachee mermaids at Weeki Wachee State Park. 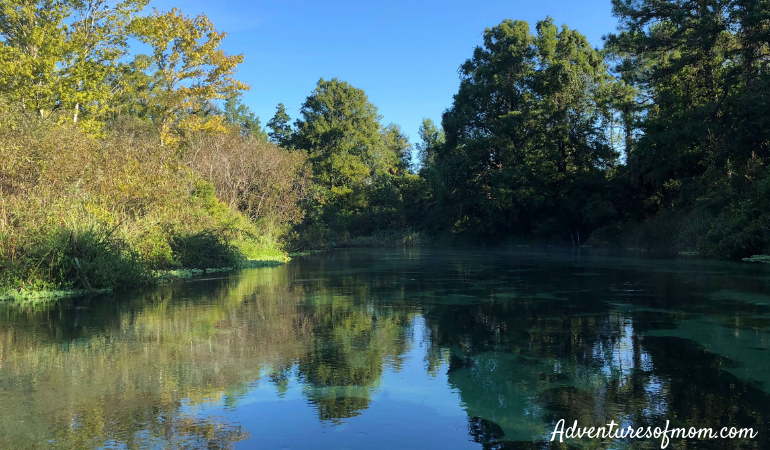 The daily 112 million gallons of water flowing from the main spring, one of 9 springs on the river, makes the Weeki Wachee a swift 7.4 mile run to the Gulf of Mexico at Bayport. However, today we weren’t tackling the entire length of the Weeki Wachee. 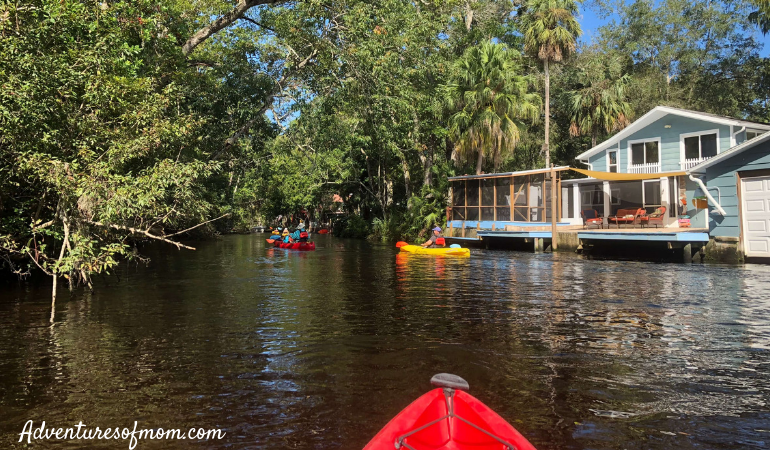 We were kayaking the most popular portion of the river- from Weeki Wachee Springs State Park to Rogers Park, a county run beach recreation area 5.5 miles downriver. After our instruction & quick paddle lesson, we loaded onto our kayaks and headed onto the river. Often called a beginner river, steering seemed more vital than paddling on this Florida waterway. And despite all of the twist and turns, it was a fairly easy river to navigate. New to kayaking? There’s some handy advice in this Kayaking for Beginner’s Post. 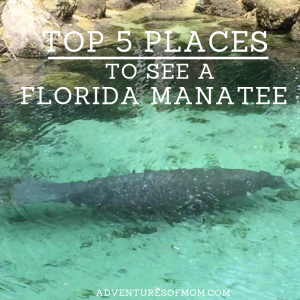 Known for crystal-clear clarity and manatee sightings, the Weeki Wachee River has an unfortunate over-crowding problem, especially on the weekends and holidays. The city is combating this issue by only allowing 70 boats per hour to launch from the state park. There are also talks about capping daily launch limits to 400 kayaks and bringing a law-enforcement presence onto the river to prevent littering and enforce the river rules. 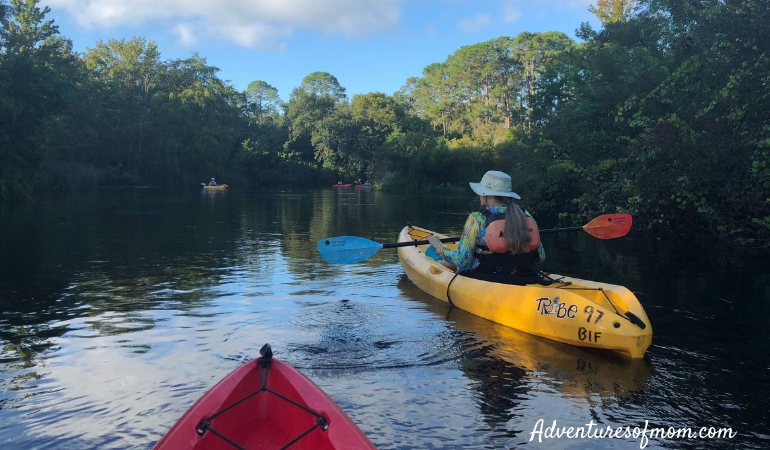 Hernando County has even created a gulf paddling experience, the Coastal Paddling Trail, a 1.7 mile marked trail from Bayport to Linda Pedersen Park in hopes of drawing some of the crowds away from the Weeki Wachee River. Learn more about the Coastal Paddling Trail on Florida’s Adventure Coast. Although the river was a cool spring-fed 72°F, inviting on this hot and humid morning, I was told there was no swimming – or stopping on the banks allowed within the state park boundaries. 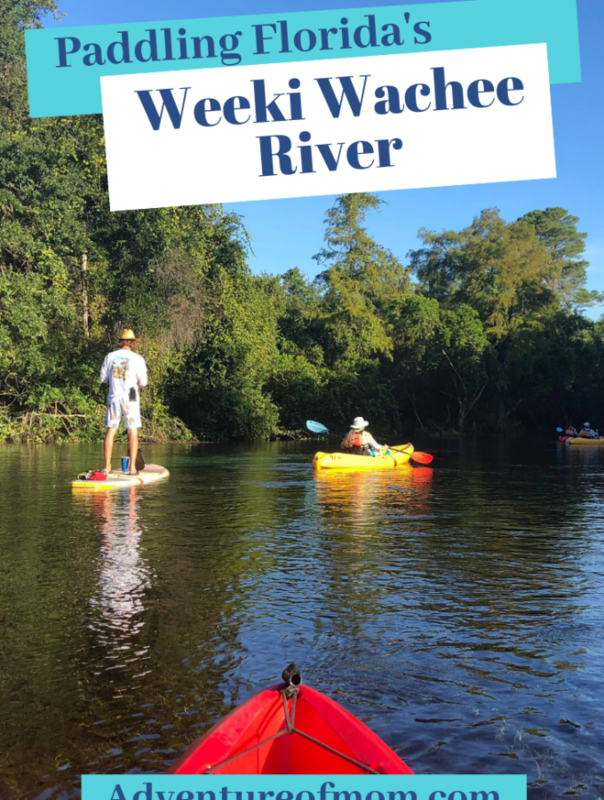 But after we left the Weeki Wachee State Park property, about 20-minutes down-river, there were sand bars in the river where we could pull our kayak up to and stretch our legs or take a swim. 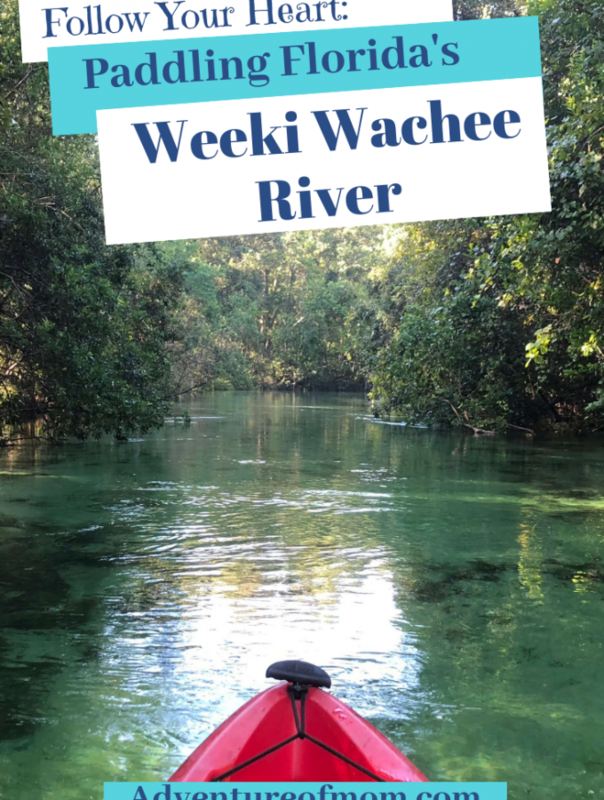 We paddled the turquoise river through Weeki Wachee Preserve. Large schools of mullet swam in straight lines beneath our kayaks. Herons swooped down from the sky. Eagles nested in the trees. A deer picked its way through the trees to the water’s edge. Peace and tranquility. Farther downriver, the water became murky, tannin-stained from swamp and cypress trees. Over half the group had paddled on ahead, racing to Roger’s Park, while a few dawdlers lingered behind and I found myself alone for the first time on the river. I could hear the trickle of water- a tiny hidden waterfall among the cypress trees. Blue skies and sunshine broke through the thickening canopy overhead. A snake slid from one bank and swam across the river. My heart caught in my throat and I back-paddled to hold my kayak still against the flowing current until the snake made it safely across and snuggled onto the roots of a tree on the opposite side. I heard voices and laughter growing louder behind me. Time to paddle on. 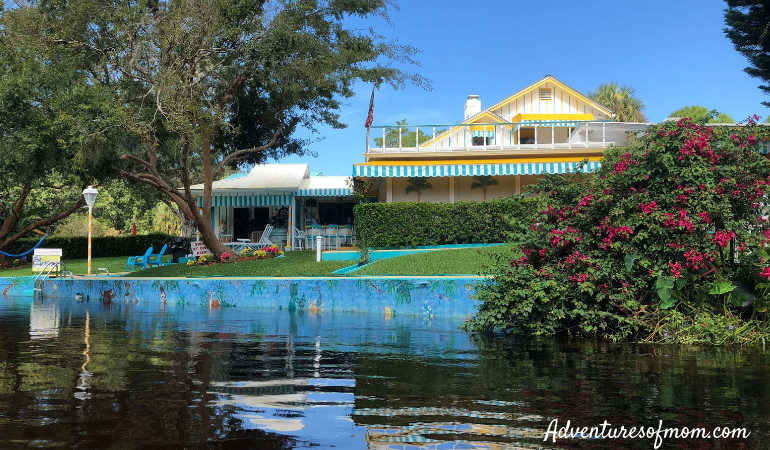 The river took a turn past a white house with bright blue and yellow trim, a pretty Hansel and Gretel riverside cottage with inviting lounge chairs set up along a bright green lawn. A bougainvillea exploded with fuchsia flowers, beside it, adding another color to the palette. The river forked. Follow your heart. Turn left. I heard the instructor’s words from the morning and steered my kayak down the channel lined with old river homes. A pontoon boat was moored beside one house, a floating tiki bar waiting for a weekend party. 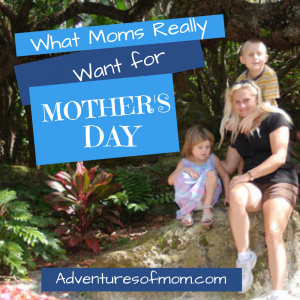 Rope swings and docks, chairs set up on back porches and lawns. I could picture the places filled with laughing kids leaping into the river while the adults lit barbecues and passed around pitchers of sweet tea and beer. The river split again to run by a sandy beach and under a bridge. 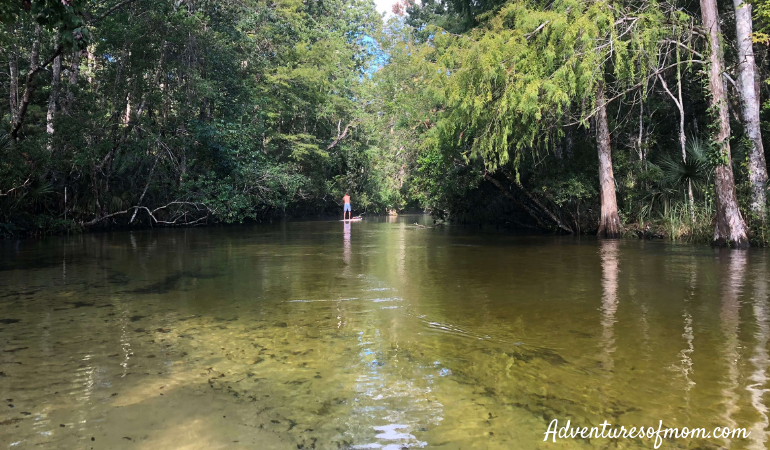 This would be the last left turn- the short channel to Roger’s Park paddle launch and the end of our adventure on the Weeki Wachee River. 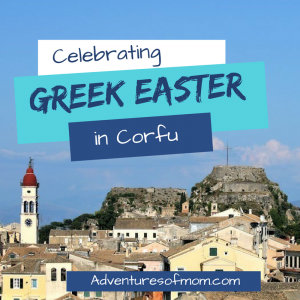 It was clear to see why this was a family favorite paddle destination. During our river adventure, one of the tandem kayaks in our group did flip- a danger with tandem kayaking. The key to good kayaking is centering yourself in your kayak, but unfortunately, you only have the ability to control 50% of that issue in a tandem. Another problem is leaning. Often people see their boat is headed for a bush or overhanging branch and their immediate instinct is to move out of the way, leaning to the side, which causes loss of that center of balance and plop- you’re in the water. Try to only lean forward or back- never to the side. Worried about tipping over on your paddle adventure? I found this YouTube video from Salt Strong about how to get back in your kayak after flipping in deep water. If you do tip over in this river, try to secure your paddle and kayak- or have someone nearby grab it. Keep your belongings in a dry bag just in case. The water is mostly shallow, but there are deep sections. What about alligators? This is Florida and if there’s water, there might be an alligator. However, you are more likely to spot a manatee than an alligator in the daytime on this busy river. To reach the outfitters, Boating in Florida, drive thru the Weeki Wachee Springs State Park parking lot. The entrance to the paddle launch is to the rear of the parking area. Kayak and paddleboard rentals are $35 with return shuttle from Roger’s Park included. Your rental is only for 4-hours. They will charge an overage of $50 per hour per rental if you are late. 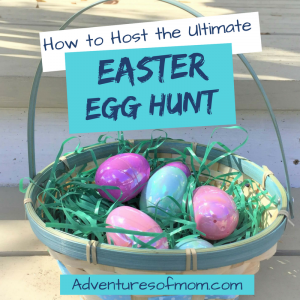 Plan accordingly- don’t be late! The river takes 3-hours to float. They only allow 70 boats onto the river each hour. This is their way of crowd control. Even if you have your own kayak/canoe/SUP, you must reserve your spot or wait for an open one (this does not apply if you launch from Roger’s Park). It costs $6 to launch your own watercraft (kayak/canoe/SUP). They will not haul your personal kayak back, but you can get a person-only $5 shuttle back to the park to get your car. Good if you are with a group or another person with whom you can leave your kayaks at Roger’s, but not so good if you are alone. You can reserve your rental or launch spot by calling the Boating in Florida outfitters at 352.597.8484. Go early and on a weekday to avoid the crowds and catch the wildlife (first launch is at 8am). Bring water for drinking and sunscreen/sun protection. This is a dry river- no alcoholic beverages allowed. Be smart and safe. There are many ‘beginner’ paddlers on this river. Show courtesy & kindness and remember, even you were once a beginner. Respect the wildlife and keep your distance. Trash is another cause of concern on this popular river. Keep it clean and don’t trash where you splash. There’s toilet and changing facilities at the launch site and at Roger’s Park. If you are leaving a car at Roger’s Park, there is a fee of $5 per vehicle. If you missed your river-swim on route, (crowds, river water too high for sand-bars) there is a sandy beach at Roger’s Park & swimming. 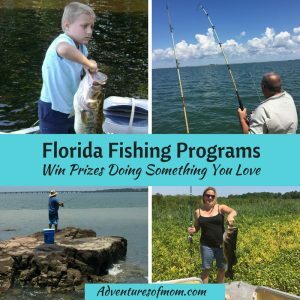 Staying in Weeki Wachee? 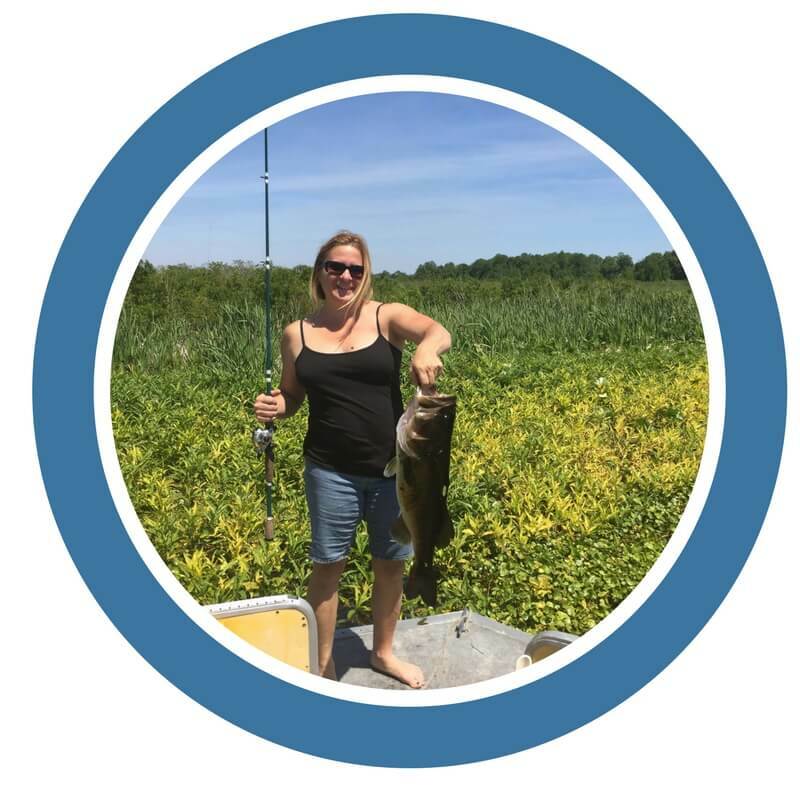 I stayed at the Holiday Inn Express, located 5 minutes south of Weeki Wachee State Park -3528 Commercial Way – (US 19) Spring Hill, Florida 34606. Clean hotel, friendly staff, and hot breakfast included. Not ready to tackle the river on your own? 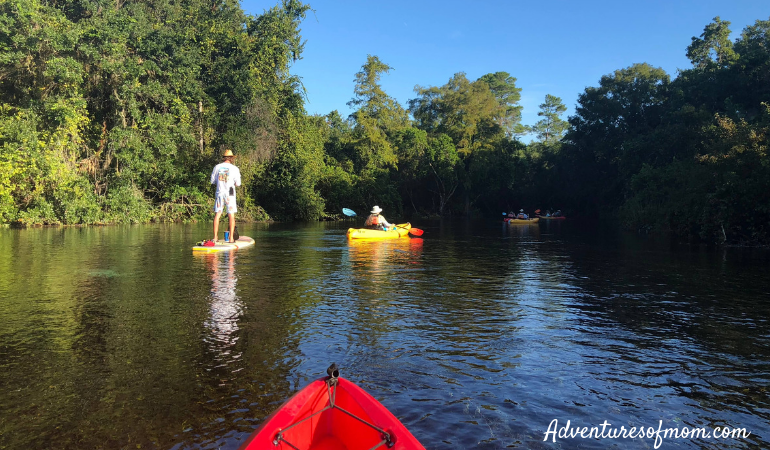 Boating in Florida also offers guided Eco-Paddles on the Weeki Wachee River. 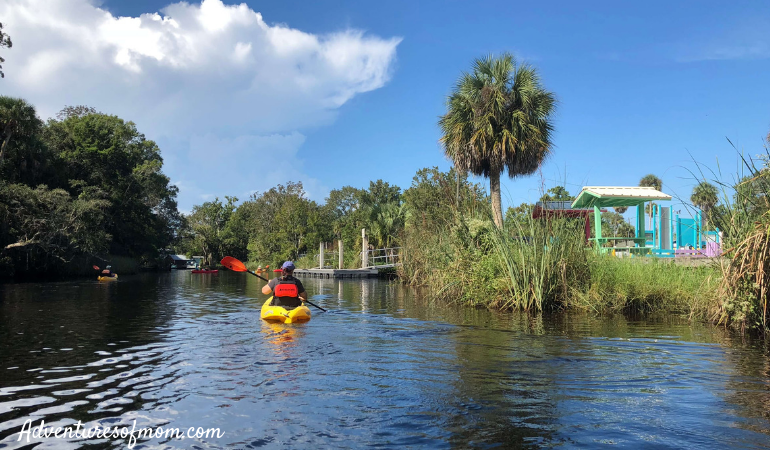 My paddle trip down the Weeki Wachee River was courtesy of Florida’s Adventure Coast Visitors Bureau and Boating in Florida, but the opinions and thoughts in this article are all my own.